Note: This list is subject to additions and changes. RHP Bobby Gauvreau faced four batters in relief. His line: 0.1 IP, 2 H, 2 R, 2 ER, 1 BB, 0 SO (18 pitches/10 strikes). Appreciate these updates? Time to say thank you by sending an Amazon Gift Card (you can even set the amount to $1.00 if that’s what you think is fair) and addressing it to webmaster@beesball.com. C Joey Bart went 2-for-4 with two doubles and a strikeout. C Joey Bart went 1-for-4 with a double, a walk, and two strikeouts. RHP Bobby Gauvreau took the loss in relief as Thunder Bay scored an unearned run in the bottom of the ninth to edge St. Cloud 7-6. His line: (L,2-1) 2 IP, 3 H, 1 R, 0 ER, 1 BB, 0 SO (33 pitches/20 strikes). RHP Bobby Gauvreau got the win in relief as St. Cloud topped Thunder Bay 6-3 in the opening game of a doubleheader. His line: (W,2-0) 2 IP, 1 H, 0 R, 0 ER, 2 BB, 0 SO (31 pitches/15 strikes). LF Ryan Peurifoy (.200) went 2-for-4 with a two-run double, a walk, and two strikeouts. C Joey Bart (.309) went 1-for-2 with a walk and two RBI. RF Kel Johnson (.234) was 0-for-4 with a strikeout. LF Ryan Peurifoy (.187) went 1-for-3 with a walk and a strikeout. C Joey Bart (.305) went 2-for-4 with an RBI single, a two-run homer (2), and a strikeout. See story. RF Kel Johnson (.247) was 0-for-4 with a strikeout. RHP Jared Datoc took the loss in relief as Edenton scored twice in the bottom of the ninth to topple Morehead City 4-3. His line: (L,2-2) 0.1 IP, 3 H, 2 R, 2 ER, 1 BB, 0 SO. LF Ryan Peurifoy (.182) went 0-for-3 with a strikeout. 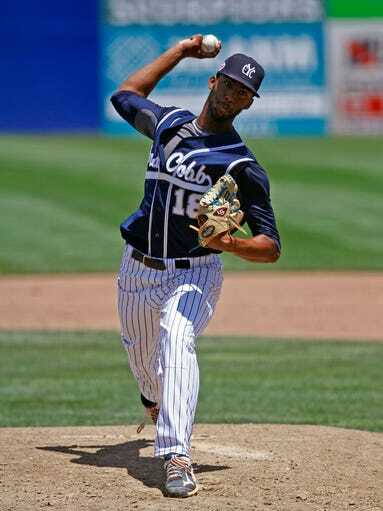 RHP Garrett Gooden turned in five no-hit innings as the East Cobb Yankees shutdown the Connecticut Bombers 8-0. See story. DH Joey Bart (.297) went 0-for-4 with two strikeouts. RF Kel Johnson (.261) walked once and struck out three times. 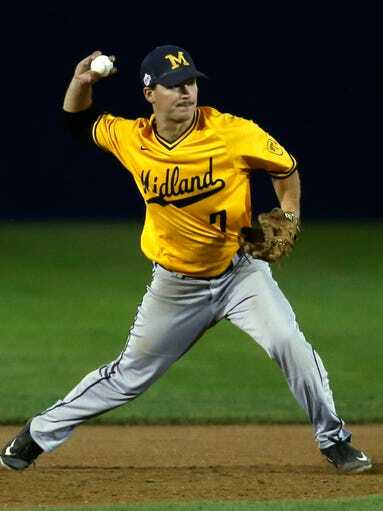 SS Luke Waddell went 1-for-2 with two walks, two runs scored and an RBI to pace the Midland Redskins to a 7-0 victory over Top Tier. See story. C Joey Bart (.310) went 0-for-3 with a sacrifice fly and a walk. RF Kel Johnson (.273) was 0-for-4. RHP Bobby Gauvreau recorded two strikeouts while setting down all six batters he faced in relief (22 pitches/14 strikes) to gain a save as St. Cloud edged Thunder Bay 2-1. See story. 3B Trevor Craport went 0-for-4 with a strikeout in the second game of the VBL playoffs. DH Patrick Wiseman singled and walked in his two trips to the plate. 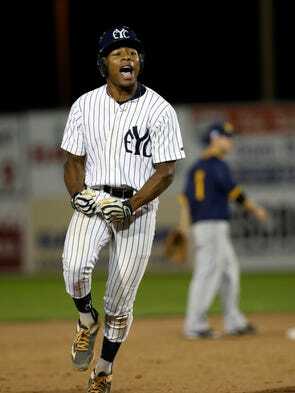 Xzavion Curry belted a three-run walk-off home run in the bottom of the eighth inning to lift the defending champion East Cobb Yankees to a dramatic 6-3 victory over the Midland Redskins in the opening round of the Connie Mack World Series at Farmington, N.M. See story. Curry went 1-for-3 with a walk and a strikeout overall on the night as a hitter. As the Yankees starting pitcher, the right-hander was not involved in the decision. His line: 5 IP, 5 H, 3 R, 1 ER, 3 BB, 7 SO (90 pitches/62 strikes). 1B Michael Guldberg was 2-for-2 with an RBI. LF Colin Hall went 0-for-3 with an intentional walk and a strikeout. C Kyle McCann went 2-for-4 including a double to start the eighth inning rally along with an RBI single. 2B Austin Wilhite was 0-for-4 with a strikeout. LHP Nick Wilhite got the win in relief and also singled in his only time at-bat. His pitching line: 1.2 IP, 0 H, 0 R, 0 ER, 1 BB, 1 SO (27 pitches/16 strikes). For Midland, CF Chase Murray was 1-for-4 with a double and two strikeouts while SS Luke Waddell went 2-for-3.